AppGameKit VR adds powerful and easy to use VR commands to your core AppGameKit Script language. 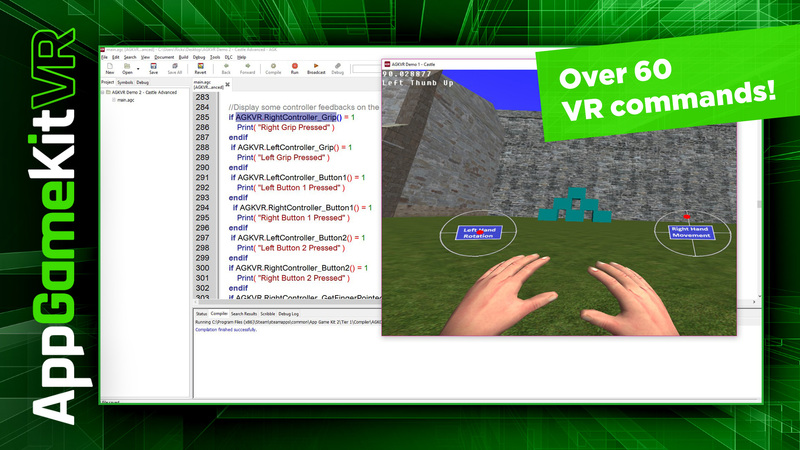 With just a few commands you can start to develop your own VR experiences, from detecting the head mounted displays to registering touch events from the touch controllers. 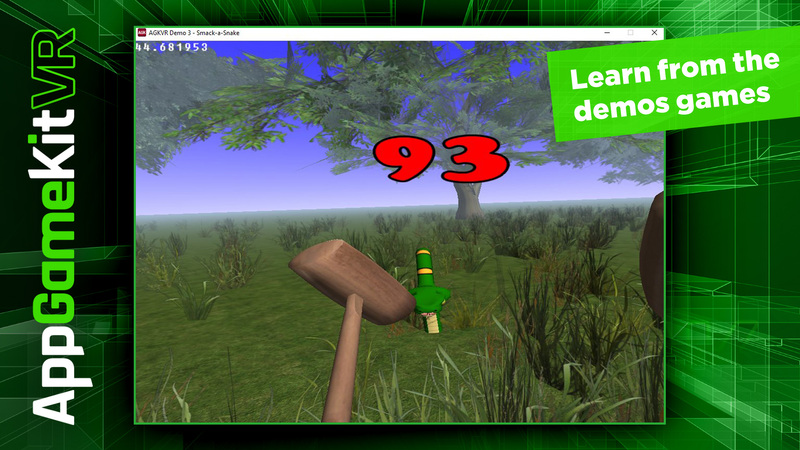 NEW: AppGameKit VR now comes with a new Plug-in for Leap Motion support! Note: Users must already own AppGameKit and have an OpenVR compatible head mounted display (HMD) and HTC Vive controllers or optional Touch controllers to use this DLC. This DLC is currently only available for the Windows platform. There are over 60 commands provided and we’ve created some getting started demos to show you how to get up and running with your own creations. 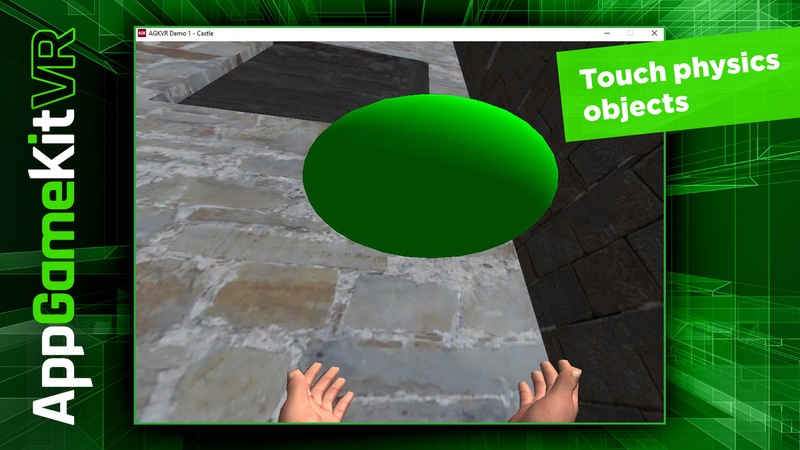 Code your VR experiences and quickly try them out!